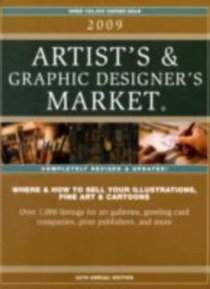 Since 1975, Artist's & Graphic Designer's Market has been the most complete resource for fine artists, illustrators, designers and cartoonists who want to show and sell their work. This essential guide gives you completely updated contact and submission information for more than 1,500 art markets such as greeting card companies, magazine and book publishers, galleries, art fairs, ad agencies and m… ore. Informative interviews with successful artists and art buyers offer advice on how to make contacts and succeed in the competitive art industry. You'll also discover valuable resources for obtaining grants, marketing and promoting their work, and networking with fellow artists.